Your air conditioner breaking down is never good news. This is especially true during the unbearable heat of summer. Since we have a tendency to overuse this appliance during these situations, however, it is quite normal for air conditioners to end up breaking down and overheating. 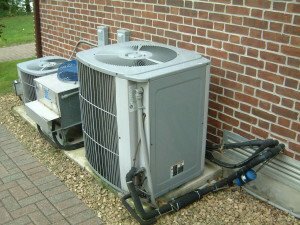 Calling for air conditioner service repair centers are normal but can sometimes be painful on the pockets with its costs. Even though you don’t really have a choice but to call for the service of professionals, however, there are other ways that you can save more money. How you ask? By buying your own air conditioner parts. There are many reasons why your air conditioner can break down. Most of the time, however, these problems are caused by malfunctioning of its five primary parts. Provided below is a short explanation of the parts and their functions. Evaporator– the one that takes the liquid refrigerant. Condensor– moderates the transfer of heat. Expansion valve– the part that regulates the refrigerant to flow freely into the evaporator. Compressor– pump that pressurizes the refrigerant. Air conditioners have two basic functions. One is to keep a certain space cool while the other is to moderate the temperature as a thermostat. The cold function part of this unit involves the use of the evaporator and a fan that blows air over the chilled parts or spots in the room. The hot side, on the other hand, includes the compressor, condenser, and a second fan which function together to blow the hot air from the compressed refrigerant outside. Between these two is the expansion valve which controls the amount of compressed liquid refrigerant in the evaporator. Since these are the five most important parts of an air conditioner, they can get pretty expensive if they are the ones you need to be replaced. Service repair centers offer good deals to their customers. However, you can never know how much they are adding to the cost of parts they’ll replace yours with. Buying your own can help protect yourself from unnecessary increases. Plus, your payment to the repair company won’t even be as big since you only need to pay for their service now. One of the best places to find portable air conditioner parts is the internet. Buying them in real stores is good because you can touch and examine them for real but if you’re cost conscious, the internet is a really good option. The reason behind this is the number of discounts and cut backs that you may get. This isn’t really common in real life stores. When buying for these parts, however, make sure that they are genuine and new. They should come in the right packaging when delivered to you. If they look opened in any way, return them from the seller. Chances are that part is a fake or a refurbished one only. Read reviews of the store you will also be buying the parts from. Are clients satisfied of their service? How prompt are they with orders? These are just some of the questions you should ask to make sure you won’t be ripped off by the online seller.